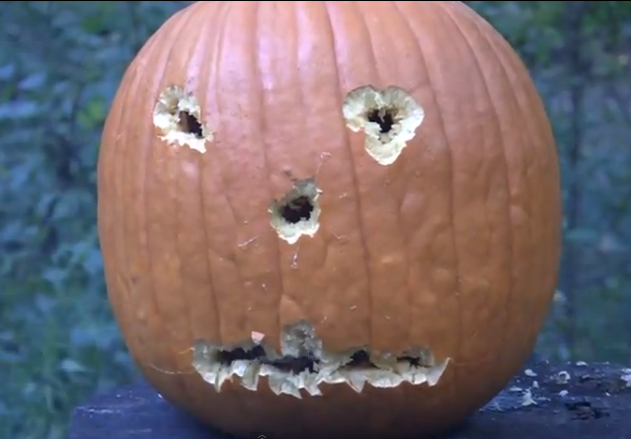 Yup… just your average day, with an average man carving a pumpkin with a handgun… nothing more to see here. Man carves not one but TWO faces in record time. USA, USA. See this is why people need the internet. Happiness is a warm gourd, and a loaded glock(or a Colt 1911, as in this video) I guess. via Pumpkin Carving IV – YouTube.